Exporter of a wide range of products which include nexpro capsules, omecip capsules, pantosec tablets and esomi 20 mg tablets. We are engaged in the export and trade of Nexpro Capsules that decreases the amount of acid produced in the stomach in order to heal ulcers and reduce acid indigestions. Prepared under the supervision of experienced professionals, the offered tablets are widely applauded for their absolute chemical composition. Effective and long lasting, these tablets should be consumed as per the doctor’s recommendation. 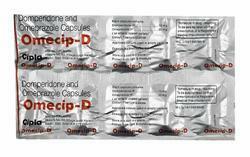 We are a well-known organization that is engaged in wholesaling, trading, retailing and exporting Omecip Capsules. This medicine is used alone or with other medications to treat ulcers, gastroesophageal reflux disease (GERD) and erosive esophagitis. Our vendors do not compromise with quality and make sure that high quality ingredients and chemical compounds are used for processing these capsules. We are a prominent organization that is engaged in wholesaling, trading, retailing and exporting Pantosec Tablets. This medication works by preventing excess amounts of acid from being produced in the stomach. It can be used to treat a condition in which backward flow of acid from the stomach causes injury to the esophagus called gastroesophageal reflux disease (GERD) as well as Zollinger-Ellison syndrome. 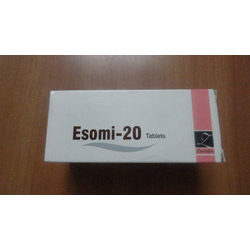 Being one of the eminent names of the industry, we are involved in offering Esomi 20 mg Tablets (Esomi 40 mg Tablets) that are known for their absolute chemical composition. These tablets treat by reducing the amount of acid the stomach makes. Esomi tablets are hygienically prepared and packed under the supervision of professionals at our vendor’s end. The offered batch of tablets is provided at market leading rates.